Discussion in 'Buy Sell Auction - Archives' started by lrs525, Aug 5, 2009. 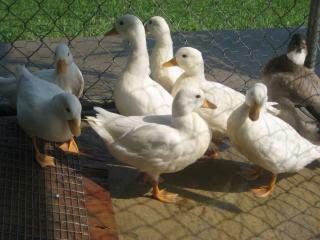 White Call Duck Pairs for $45.00. Early 2009 hatches. Comes from Show Quality Stock. You may call 502-477-5453 or email if your interested. what bloodlines do you have and any pics of your breeders? 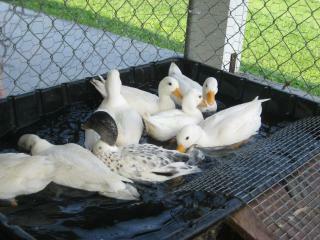 The ducks belong to Ralph Richardson who is a Master Exhibitor of Call Ducks. I also have a snowy drake available for $10.00. you going to the state fair? But If We Move Them From Louisville Where Will They Swim? Jk--- Hope All Y'all Up There Made It Thru The Flooding Ok!